THE TOWN WAS PROCLAIMED ON THE 1ST OF JANUARY 1879. Standerton was named after Adrian Hendrik Stander who was the owner of the farm on which the town was established. 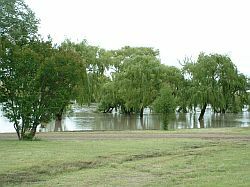 The Vaal River one of South Africa's largest rivers flows through Standerton. The town is situated 1 540 meters above sea level. Average summer and winter temperatures are more or less 14 degrees Celsius in winter and 27 degrees Celsius in summer. 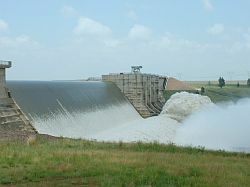 The tenth largest dam in South Africa namely "Grootdraai Dam" is just 12 kilometers out of town and is a one of the town's major tourism attractions. Due to a well developed infrastructure Standerton offers the ideal opportunity to start a new business or buy an existing business and expand it according to your own choice. Grace land Casino is 65 Km from Standerton which makes it easy to visit if you are staying over in Standerton Guesthouses or with family. and is one of the town's major tourism attractions. The Vaal River is a fisherman's dream and is one of the main reasons why people will travel long distances to Standerton. 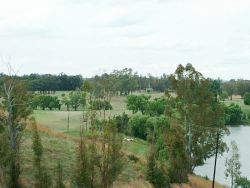 Standerton Country Club (Tel: 017 712 1049) has a nine- hole golf course and catering facilities are also available on the premises. © Standerton.com, Sakhile.com and Lekwa.com 2002-2008 all rights reserved.